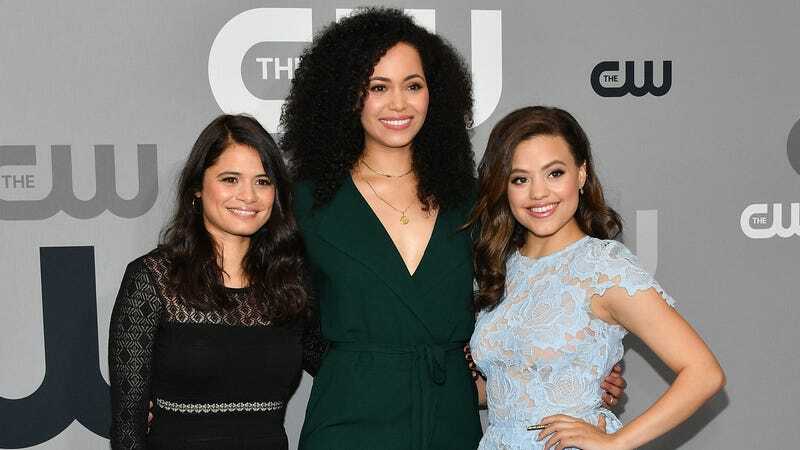 There’s been turmoil in the air ever since the CW announced that it’s bringing back Charmed—the beloved series about three witches using their powers to fight demons while trying to live relatively normal adult women lives—as a “fierce, funny, feminist” reboot. Those three little F-words have not sat well with at least one very vocal critic: Holly Marie Combs, who starred in the original cast. Jeffery added that “when my character is challenged [...] I will vociferously defend myself and my sisters,” a sentence that really stresses me out given the potential double meaning of “character” here!!!! Will this fight over good witches, feminism, reboot culture, and the ageist nature of Hollywood end well? Probably not. I don’t necessarily agree with Combs’ critique—that a reboot starring a new cast is inherently disrespectful of the original material—although, based on some of her other tweets, it seems like she’s implying that a reboot with the original Halliwell sisters was, at one point, on the table. If the appetite for a reboot was truly there among the original cast members and if producers knew that, then that raises a different set of questions around the merits of the new, so-called “feminist” show, and that could get really ugly.